Stimulated by a highly successful Tech Movement pilot program that uses new automated irrigation techniques to boost row crop yields while conserving water, C Spire is ready to expand its partnership with farmers and smart equipment firms to provide network and information technology support for precision agriculture applications. 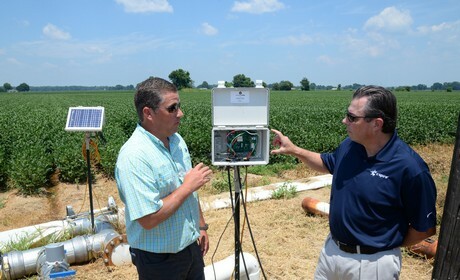 "We're really encouraged by the results that showed a dramatic decrease in water usage – about 15 million gallons – with increased yields and profits," said Jack Phillips, owner of JF Phillips Farms, a row crop farming operation in the lower Mississippi Delta. "There are a lot of variables in growing these crops, but this solution controls risk and manages the resources to produce great results."